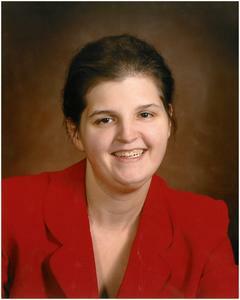 Erica Lee Trafton, age 35, passed away unexpectedly, Saturday, June 23, 2018 at her residence. She was born in Des Moines, Iowa, February 11, 1983, daughter of Milton and Ruth (Nee: Veto) Trafton. Erica was a graduate of Sun Prairie High School “Class of 2001”. Furthering her education she graduated from UW-Parkside and UW-Milwaukee. She also attended Dominican College, IL and Alverno College. She had a huge collection of tweety bird. More than anything she cherished time with her twin sons, Nathan and Jacob. She was loved dearly and will be sadly missed by her twin sons, Nathan and Jacob; her parents, Milton and Ruth Trafton; and dear friends. She was preceded in death by her sister, LisaTrafton; and grandparents, Mel (Darrleen) Veto, Donald (Opal) Trafton. Private funeral services were held with interment at Holy Cross Cemetery, Hwy 32.